OWC Exclusive! Excerpts from our chat with actress Sonali Kulkarni about her latest theatre venture Gardish Mein Taare! OWC: What sort of a person is going to love your character in GMT? Sonali Kulkarni: Anyone who loves life, who wants to have a love life and is passionate about art! OWC: How is 'Bhavna' like you or different from you? Sonali Kulkarni: The creative pursuit and passion is like me. Her circumstances and thought process is different. She is very helpless but I am in command of the situation. Maybe it is due to the different times we live in. I have full access to technology. I feel empathy towards her. OWC: What was the biggest challenge about taking on this role? Sonali Kulkarni: The fact that I had to accept that there could be a person like her. I fought a lot of situations in the play but it is to the director's credit that he explained to me that life and people cannot be black or white. You cannot paint one a hero and the other one a villain. There's a grey. I wanted Bhavna to be always right but life is not about right or wrong. OWC: Besides yourself, which actress would you like to see tackle your character? Sonali Kulkarni: Our industry is blessed with talented actresses. Kareena, Priyanka are so capable. We have a league of talented actresses who can do this role. OWC: Without giving anything away, what’s your favorite dialogue from the play? Sonali Kulkarni: Jis kal mein Dev na ho, kya karun usey leke? OWC: How did you prep for this role? Sonali Kulkarni: I have learnt classical music for 4 years and that helped me. I am a patient listener. This has been an emotional journey. I’m at a time in my life when I'm composed in my career. I don't carry roles home. I don't tell my family that today I’ Geeta or today I’m someone else. But Gardish mein Taare led to a stir in my life. OWC: Any message for your audience? Sonali Kulkarni: Please come and fight for the tickets. Get a glimpse into the life of an artist. 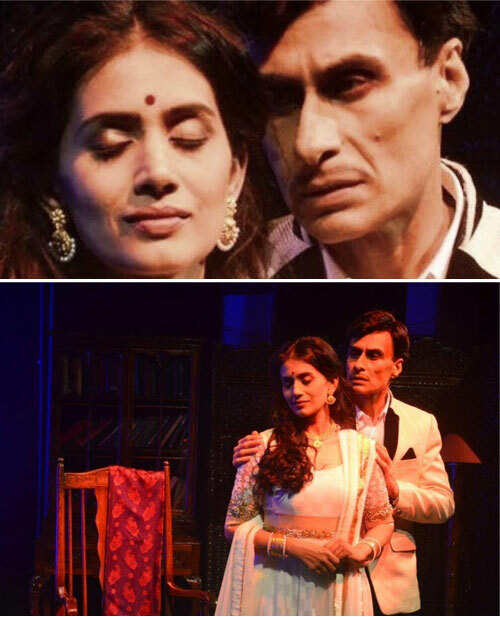 The audience will be more loving towards the generations gone by after watching the play. 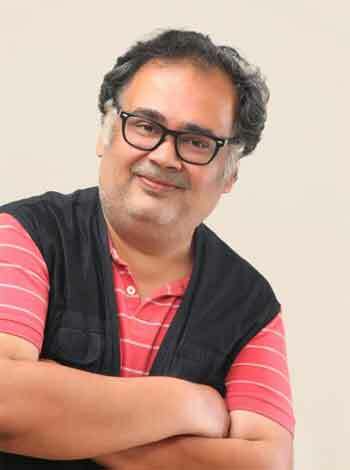 OWC Exclusive-In Conversation with Theatre Director Saif Hyder Hasan! OWC got into an exclusive chat with director Saif Hyder Hasan about his upcoming play Gardish Mein Taare, what got him into theatre and his upcoming projects. Read on to get an insight into his vision and lifestyle! OWC: How did you decide to get into theatre? Was there someone who inspired you? Saif Hyder Hasan: I belong to a family where my grand aunt, Qurratulain Hyder, was a Jnanpith award winner. Since childhood, I followed the work of poet Ali Sardar Jafri, so my literary background was there. Storytelling was a passion. Once I finished my Masters, I got interested in theatre as a text and then jumped into it when I got my first break in Delhi. OWC: Is there a particular play that you would call your favorite (that you directed)? Saif Hyder Hasan: Gardish Mein Taare has to be it. Ek Mulaqaat is also one of my favourites. OWC: What would you say to someone who wants to get into theater direction? Saif Hyder Hasan: My advice would be to read as much as you can. Watch plays. Watch bad plays. Make mistakes. Learn on the job. OWC: How was your experience working with Sonali & Arif? Saif Hyder Hasan:Working with Sonali and Arif was terrific. I love both of them, my crew loves them. I keep saying this all the time...they are not just wonderful actors but also amazing human beings. OWC: Any particular reason for choosing period dramas? Saif Hyder Hasan:My next play is not a period drama. I do human dramas set in a period. These are stories of human relationships set in the 50s and not in Akbar-Birbal times. OWC: What do you do when you’re not doing theatre? Saif Hyder Hasan:I am passionate about my friends and family. I love to watch 70's & 80's movies. On a stressful day, I love to cook. OWC: When can we expect to see the next part of your theatre trilogy? Saif Hyder Hasan: Trilogy will have to wait for a year or so. I am coming to Delhi with my next play Mr. and Mrs. Murarilal starring Satish Kaushik and Meghna Malik. It is a happy tale about old age and loneliness with a quirky storyline.